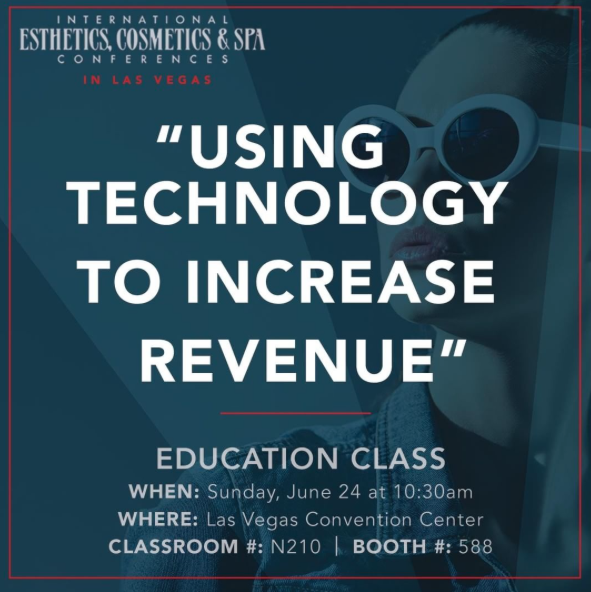 SalonClouds+ CEO Dilan Desilva will be presenting a free class at the International Esthetics, Cosmetics and Spa Conference (IECSC) in Las Vegas, Nevada. The free class, titled “Using Technology to Increase Revenue”, will cover a range of topics related to using technology, branding and marketing. Topics to be covered include behavioral marketing, social media, email and text marketing, analytics and much more. The class will be held Sunday, June 24, 2018 from 10:30 a.m. to 12 p.m in classroom #N210. To register for this class, please click here. The IECSC is an annual event for spa professionals, estheticians and cosmetologists. The event will be held at the Las Vegas Convention Center June 23-25. Spa and wellness professionals are encouraged to attend IECSC for career development, educational classes and networking. SalonClouds+ will also have a table at the convention, located at booth #588. Make sure to stop by and see what SalonClouds+ can do for your business. SalonClouds+ is recognized in the salon and spa industry for being innovative, user-friendly and efficient. Our technology will connect you with your clients in new ways, resulting in increased sales, improved customer retention and better productivity. All apps are designed to fit your brand identity and needs. We offer many more additional services, including confirmations and reminders, digital marketing, email and text marketing, Beacon technology, intake forms, and more. For more information please visit our services page.